HTC has finally and officially launched the “One Max” in India. The One-Max is the company’s latest flagship phone with 5.8inch Full HD Display. The Phablet is powered by 1.7GHz quad core Snapdragon 600 CPU, instead of latest Qualcomm Snapdragon 800 CPU. 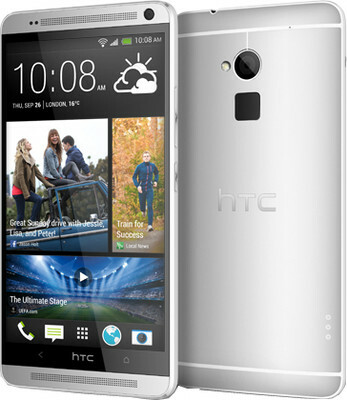 The handset currently runs on Android 4.3 jellybean OS with Sense 5.5 UI on the Top. Inspired from Apple’s iPhone 5S there is Fingerprint sensor on the back of the handset, which adds more security to it. The One Max has an UltraPixel Camera on the back with Flash and 2.1MP front imager. The One Max is priced at Rs 56490 in India, while the MRP of the device is INR 61,490.